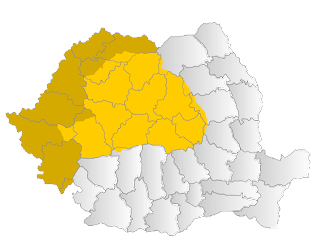 Transylvania has many links to what is now, Hungary and Romania. 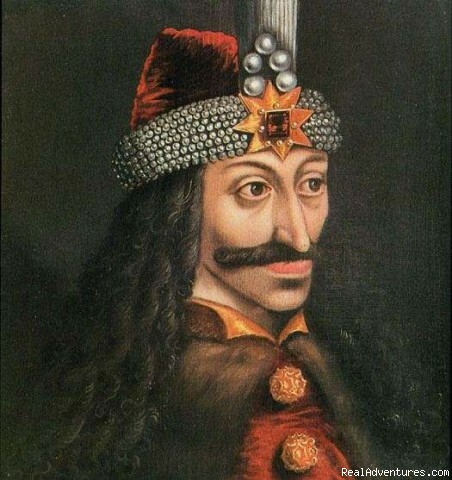 We will begin with Dracula... rather with Prince Vlad Tepes of Wallachia, who was born int eh border so Transylvania. 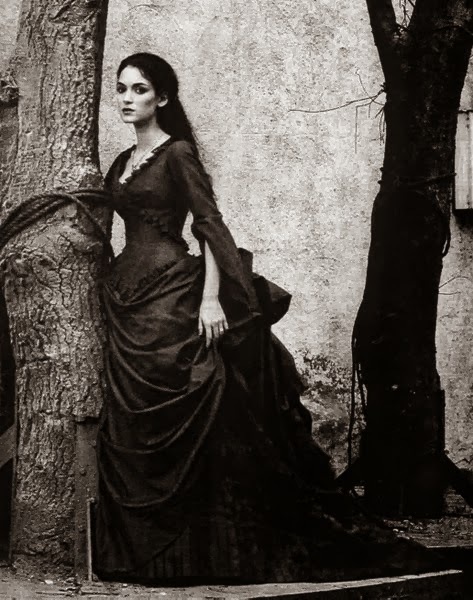 Wallachia and Moldova would int eh late 1800s merge to become what would become Romania. The Prince of Romania? Prince Carol I. He would later become King Carol I of Romania. Queen Maria of Romania, the woman who was so interesting in her own right and who most people viewed of as the power behind the throne of Romania. 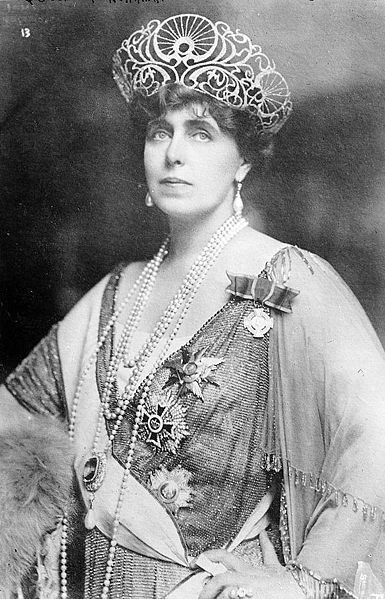 Ti was her influence that made Transylvania a part of Romania, during the Paris Peace Conferences in 1919. 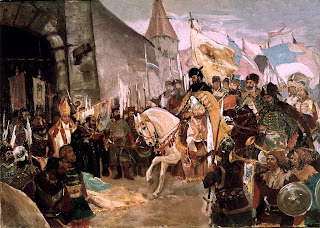 The entrance of Micheal the Brave into Alba Iluia, in 1599. 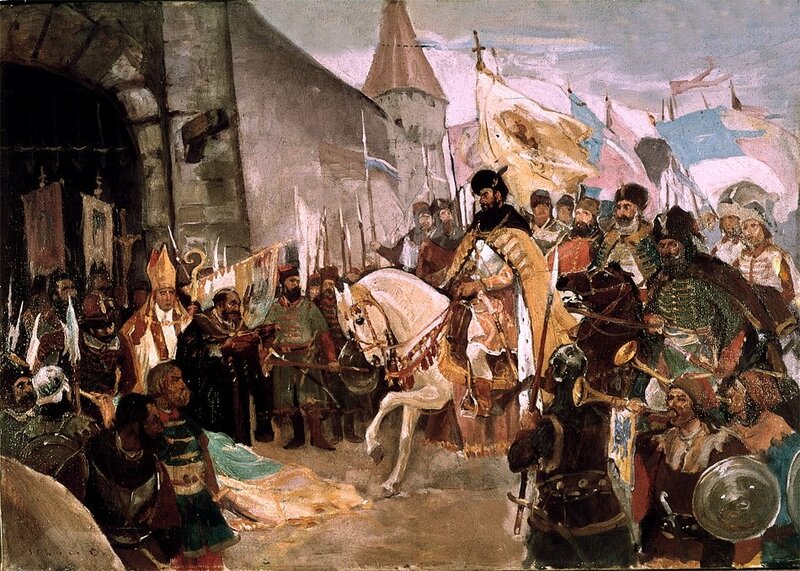 This was the one year when between 1599-1600 where what would become Greater Romania, in 1919, would be unified. 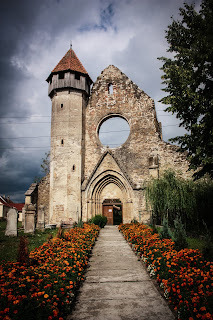 After this time, Transylvania was a part of the Kingdom of Hungary. The coronation of King Ferdinand and Queen Marie of Romania in Alba Iluia. This was after the end of the First World War. 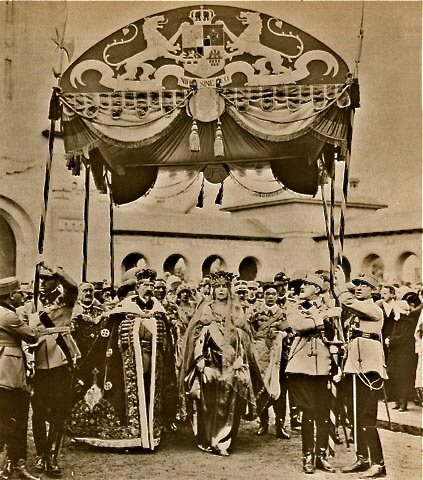 They became king and queen of Romania in 1914, after the death of King Carol I.